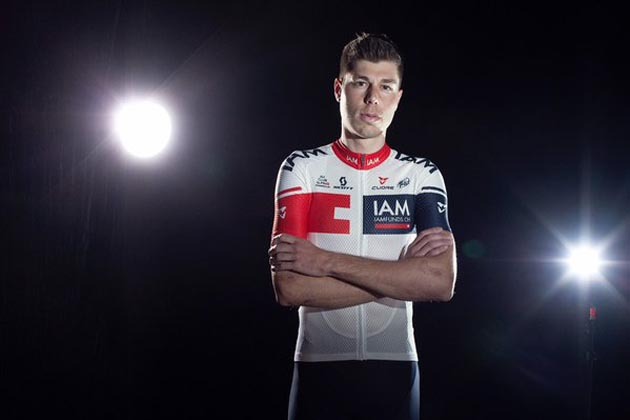 Professional cycling teams have started to reveal their new kit designs for the forthcoming season. Some have opted for a completely new design to reflect a change in sponsor, or freshen up their look – others have taken the “if it ain’t broke, don’t fix it” approach. We’ll keep track of the latest team kit announcements on this page, updated regularly. What’s your verdict on this year’s team strips? Do you have a favourite? Tell us in the comment box below. 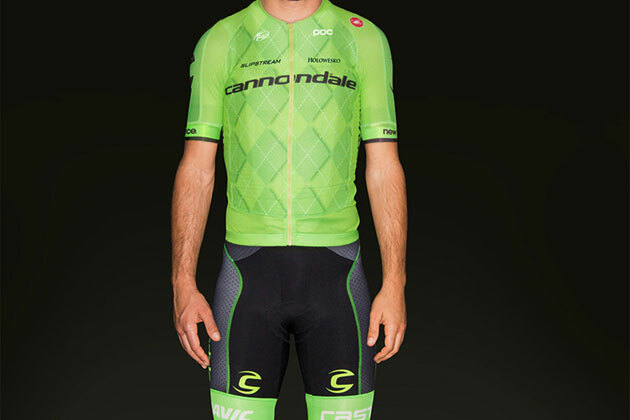 With the departure of Garmin as co-title sponsor, Castelli has redesigned the Cannondale team kit in the American bike company’s distinctive green colour. The team’s long-standing argyle motif has been worked into the jersey, and we give the black shorts a thumb’s up! 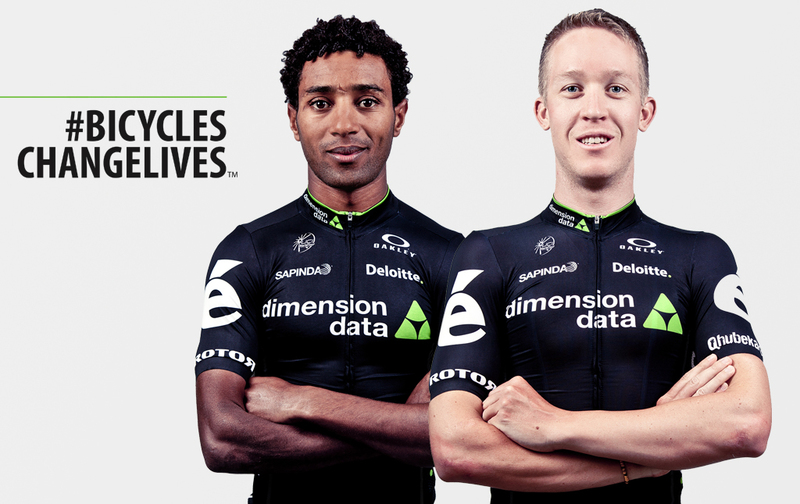 Dimension Data’s kit is wildly different from that used by its previous incarnation, MTN-Qhubeka. Black and white stripes have been replaced by black kit with white text and green highlights to match the brand colours of the team’s lead sponsor. A bold ‘é’ is emblazoned on each upper arm to reflect bike sponsor Cervélo. After the eye-shock that was Tinkoff’s ‘La Datcha’ training kit (see below), the team’s ‘real’ racing strip has now been revealed. The squad’s fluro yellow has been retained from 2015, and the jersey looks similar just without the block logo of former co-sponsor Saxo Bank. Look further down, though, and you will spot that the shorts are now a grey-blue colour, matching the side-panels of the jersey. 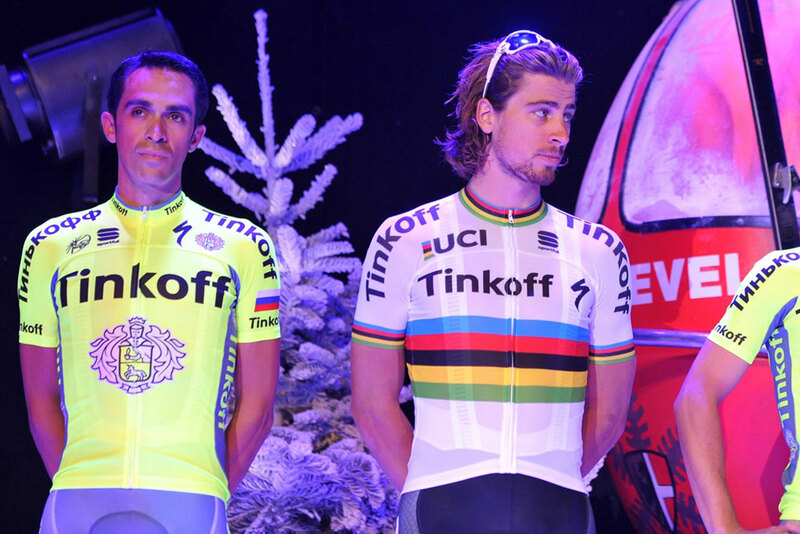 World Champ Peter Sagan’s version of the jersey reduces the size of the Tinkoff logo and he now appears to have black, rather than white shorts. This is a good thing. 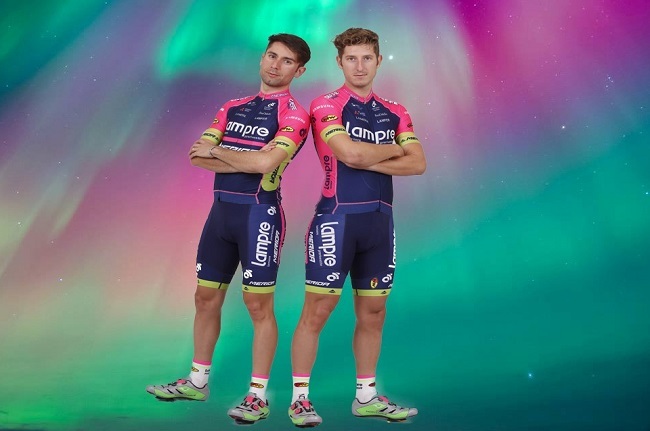 A few very minor changes to the already distinctive Lampre-Merida kit for 2016. The fuchsia and green stripes on the front of the jersey (above and below Merida’s name) are wider, and the fuchsia-coloured panel on the back is larger to help pick the riders out during those helicopter aerial shots of the peloton. It’s a case of spot-the-difference with the new Lotto-Soudal kit. 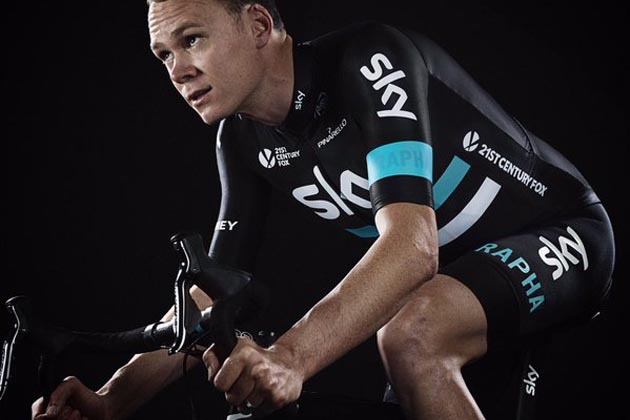 Apart from a new sponsor on the shorts, the 2016 kit looks awfully similar to the 2015 ones. But then again, why change a winning formula? 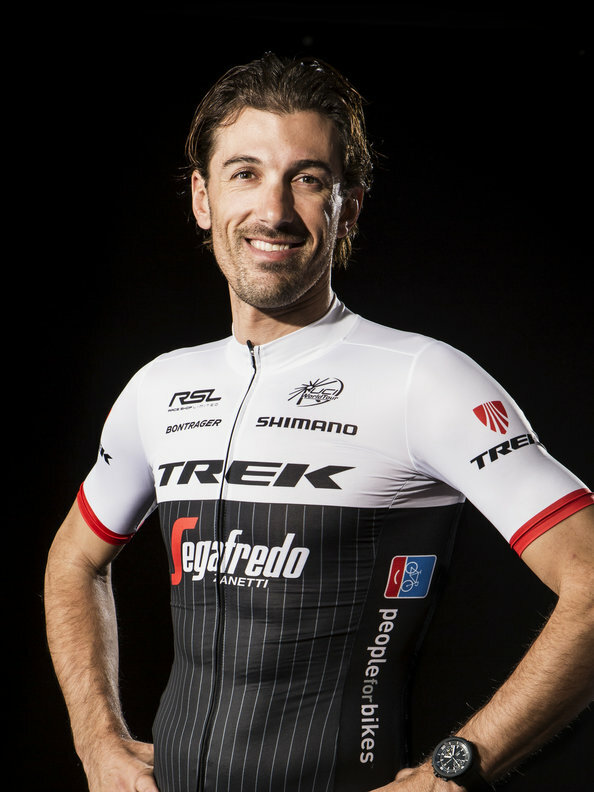 As Italian coffee maker Segafredo joins Trek as co-title-sponsor for 2016, the American team’s kit has changed… slightly. The squad has retained its white and black design, with the vertical pinstripes in the black lower half intact. Red arm cuffs add a splash of colour to match the squad’s Trek bikes, which are bright red. 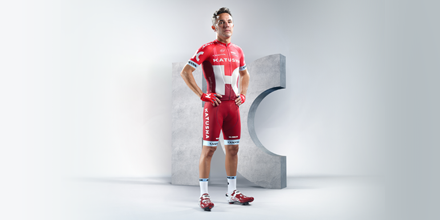 There’s a radical departure for Russian WorldTour team Katusha for 2016, with a completely redesigned kit and new logo. The jersey and shorts feature far more red than the team’s former outfit, and the new ‘K’ logo features prominently on the front. 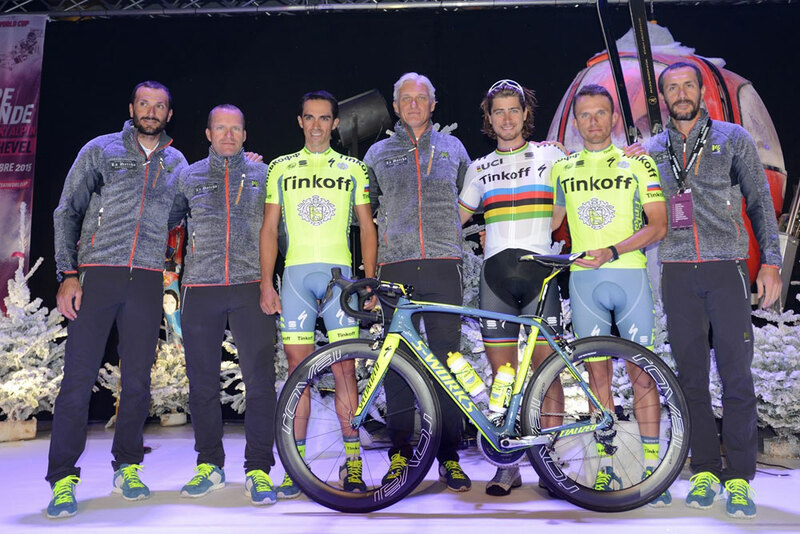 As other teams seem to be becoming ever more conservative (we’re not included Tinkoff’s training kit in that statement), it’s great to see a team coming up with something fresh and new that will stand out in the bunch. 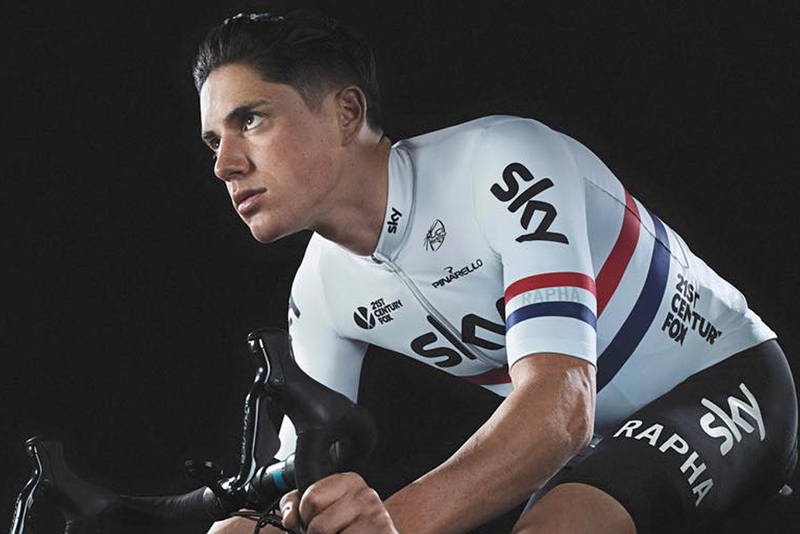 The British WorldTour squad has tweaked its kit for 2016, rather than going for wholesale change. 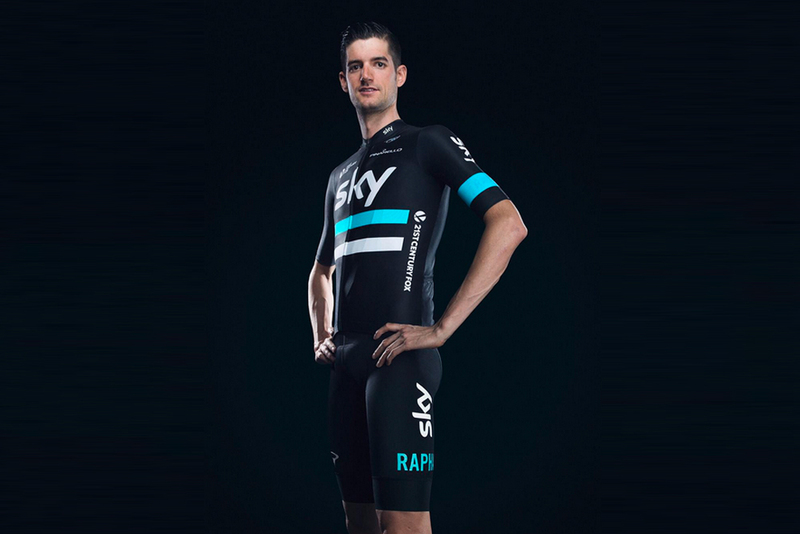 The basic colours have stayed the same from 2015: predominantly black, with blue and white highlights. The most notable change are the blue and white stripes across the front, which tie in with the stripes that have appeared on the squad’s 2016 Pinarello bikes. It’s Rapha’s final year of producing Team Sky’s clothing, before a change of manufacturer for 2017. The Dutch squad has gone for a slightly underwhelming tweak to its existing yellow, white and black kit. There is a bit more white at the top of the shoulders, but the strip remains predominantly yellow with sensibly black shorts. It’s still one of the more distinctive kits in the peloton. 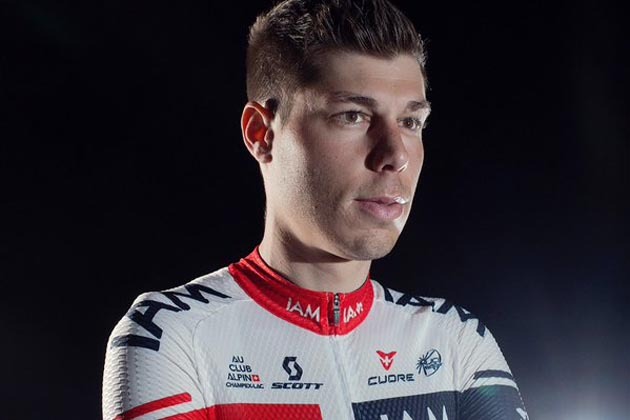 As other teams seem to have gone in the direction of having darker coloured kit, Swiss outfit IAM Cycling have gone white. The team’s new strip features a red and dark blue stripe across the front, that joins with a white cross motif of its home nation, Switzerland. The squad will have to be careful in the mud and wet – white kit has a habit of becoming see-through when moist. 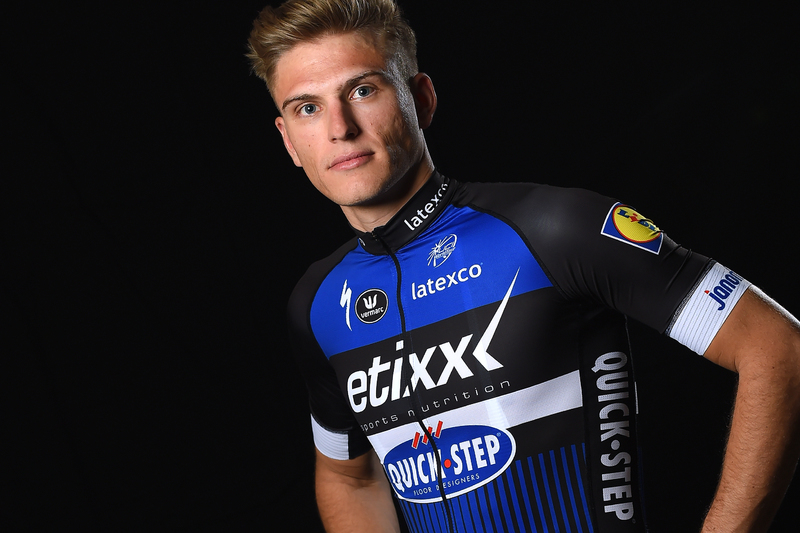 New recruit Marcel Kittel was chosen to show off Etixx-QuickStep’s latest kit, perhaps the most prominent overhaul of the pro team strips revealed so far. The previous kit’s light blue has been replaced by a darker colour, with the inclusion of vertical stripes on the abdomen and back. 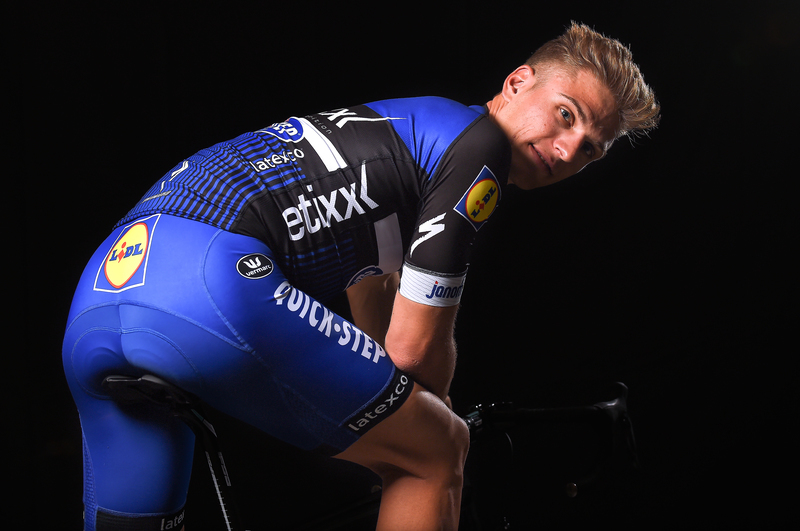 Also included on the Belgian team’s clothing is the distinctive yellow logo of new sponsor Lidl, which appears on the shoulders and lower back. 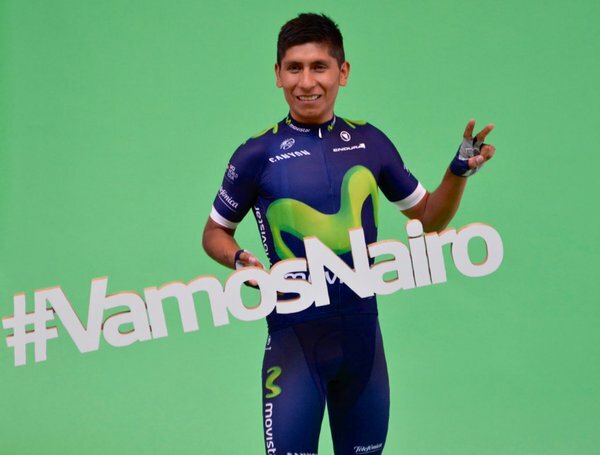 Nairo Quintana modelled Movistar’s new strip back in mid-November. There are a few subtle changes to the Spanish WorldTour team’s kit for 2016, although the basic dark blue and green colourscheme remains. The green ‘M’ motif on the front is bolder for 2016, and there’s a white panel for the jersey pocket area and white cuffs on the sleeves. 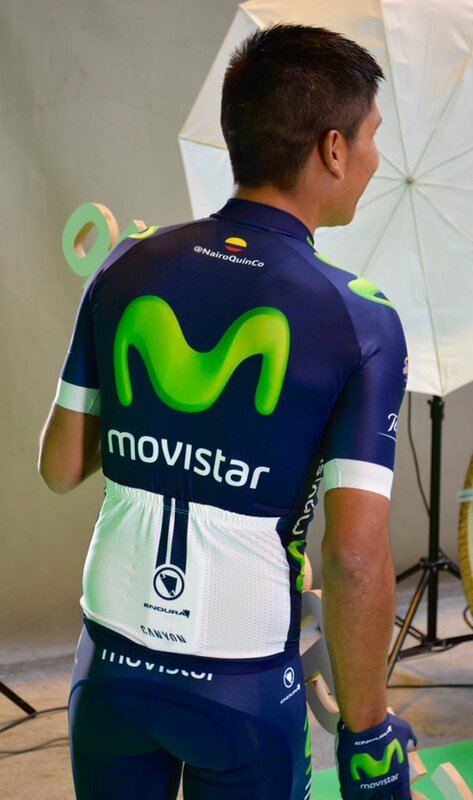 Movistar’s kit is made by Scottish firm Endura. 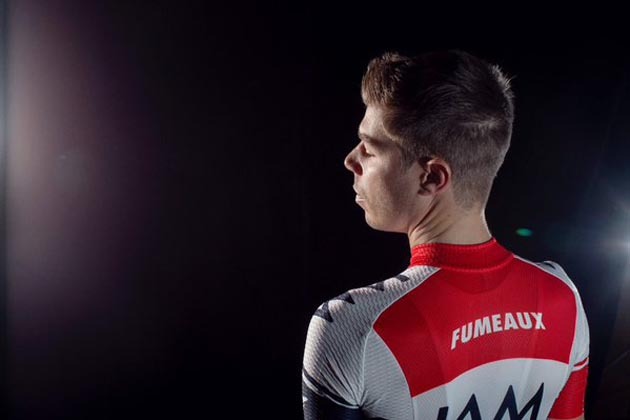 Absolutely no change for FDJ in 2016: the French team has retained pretty much the same kit as 2015, white shorts and all.